Our kosher gourmet meals are delivered directly to you fully cooked/baked and elegantly arranged. They will arrive frozen and can be stored as is in the freezer. 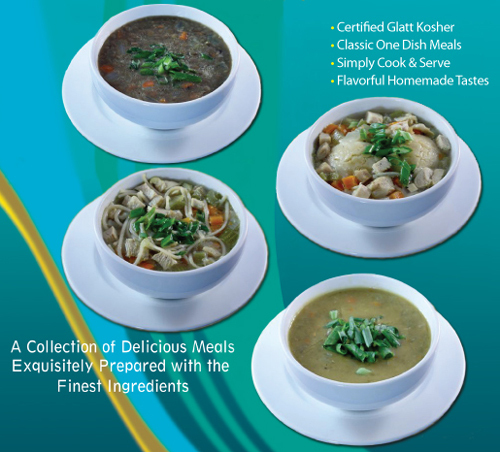 When a costumer requests kosher meals, they will have a variety of menus to choose from. 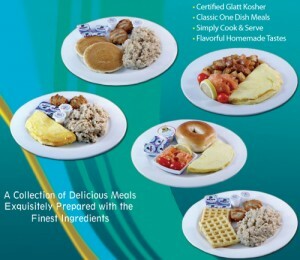 The meal is then placed in an oven or microwave oven for a few minutes — and there you have a piping hot, kosher gourmet meal. Our options also include vegetarian, gluten free and diabetic meals. 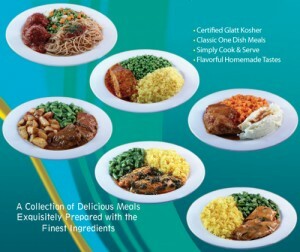 Our elite grade meals are elegantly arranged on china dishes and each serving is individually double sealed and placed in a small box, together with a set of metal cutlery.